LIMITED EDITION of 500 copies. Signed copies available while supplies last. CDs should begin shipping between Feb. 20 and Feb. 27. Members of a metal band get a chance at a comeback when they are invited to perform at Coachella, er NOchella, that is. When they become stranded in the desert, they have to fight for their lives against giant ants. 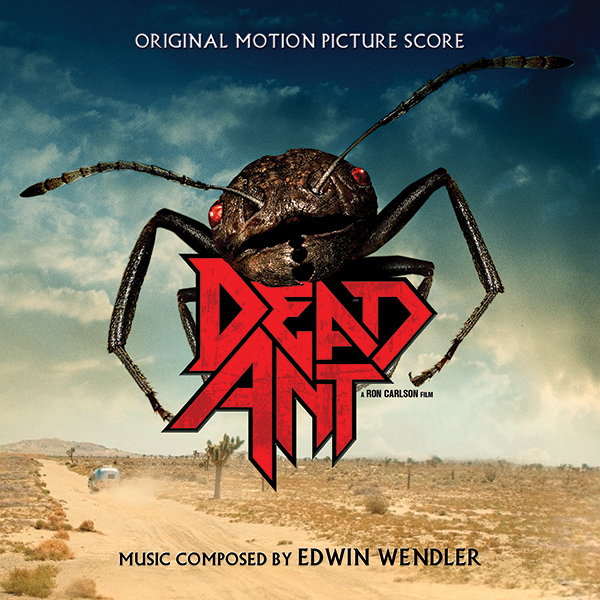 Featuring a rousing and rockin' score by critically acclaimed composer, Edwin Wendler. Screamfest, the biggest and longest-running horror film festival in the United States, picked Dead Ant as their opening movie. The read carpet premiere took place at the world-famous Grauman's Chinese Theatre in Hollywood on October 10, 2017. Composer Edwin Wendler feels honored to have composed the score for this fun movie. Audience reactions were phenomenal, and we hope the movie will be distributed internationally very soon. The horror feature, "Unnatural," which Edwin Wendler finished scoring in April, was picked up by After Dark Films for theatrical distribution. Congratulations to everybody involved, especially director Hank Braxtan and producer Ron Carlson! Edwin Wendler recently completed the score for the horror sequel, I Spit On Your Grave III: Vengeance Is Mine. The movie stars Sarah Butler (reprising her role from 2010's I Spit On Your Grave), Jennifer Landon, Gabriel Hogan, and Doug McKeon. R.D. Braunstein directed. Produced by Lisa Hansen and Paul Hertzberg for CineTel Films, the movie will be released by Anchor Bay Films in October. Edwin has recently collaborated with singer/songwriter Aeralie Brighton on an inspirational song called, Epitaph. Click here to purchase it on iTunes. Edwin Wendler's score for The Right To Love: An American Family was nominated for a GoldSpirit Award in the category "Best Documentary Score" ("Mejor BSO Documental"). Edwin is humbled and very thankful to BSO Spirit for this honor. Click here for a list of all the nominees. Edwin Wendler’s track, Nothing But Lies, received a placement in the trailer for the horror movie, Mama, starring Jessica Chastain. It’s really an honor to be listed among those amazing composers. Please, listen to Rob’s program which broadcasts each Friday night / Saturday morning on FM98.5 CKWR.